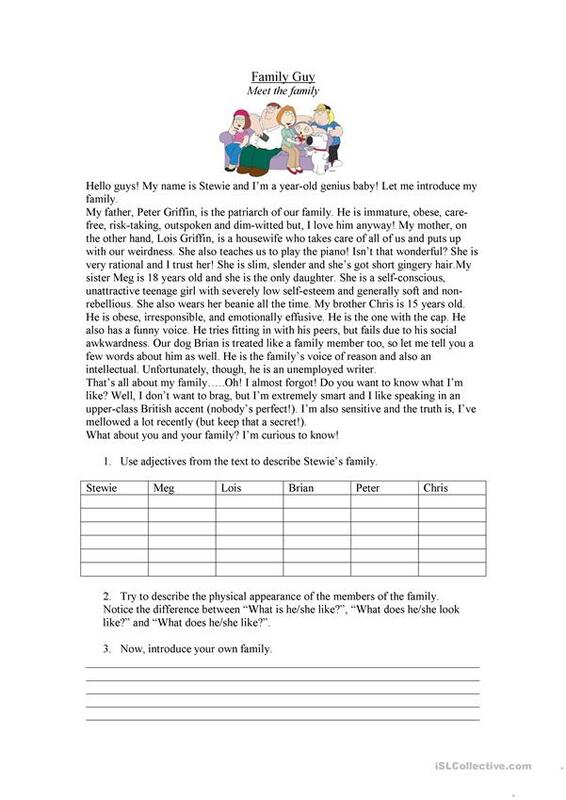 This is a worksheet for adult learners. They are introduced to the Familly Guy family, learn some adjectives and then try to describe their own. Also, they learn how to describe both the physical appearance and the character of an individual. The present downloadable teaching material is recommended for adults at Upper-intermediate (B2) and Advanced (C1) level. It is valuable for revising Adjectives to describe personality and character in English, and was designed for strengthening your class' Reading skills. It centers around the vocabulary topic of Celebrities (stars, famous people).